The above phrase was last year's toast by speaker, Paul Hawken, to the growers, non-profits and all of those present at our county's biggest fundraising event for Marin Organic, MALT, and the Marin Farmer's Market. This year's event will take place on August 26, 2007. 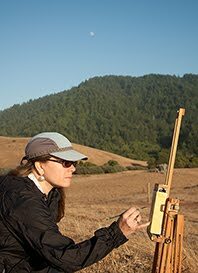 I am honored to be able to donate and share one of my paintings done on a Marin Organic farm for this event. As I write this today, I have also watched the mail carrier pick up my donation and letter to MALT from the percentage of my sales at the Two Bird Cafe. In January, when I started this blog, I would not have imagined being capable of either of these two, very large things for a busy mother of twins to accomplish. But the truth lies in the above quote, which I feel is so true, for all human beings... That if you keep doing good things, very small things each day, they will lead to something larger; a "way of life" that cares for and nurtures life on this earth. 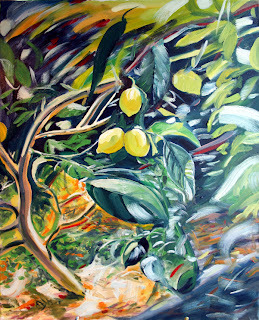 "Lemon Tree" Fairfax Fresh Farm, Fairfax, CA 24" x 30", o/c. This is a fun, loose interpretation of what I saw at Fairfax Fresh last week. The lighting was great and dappled spots of warm and bright light shone through the taller trees above while I painted in the shade. I have donated this painting to the Marin event "Taste of Marin" at St. Vincent's School for Boys this August 26th. 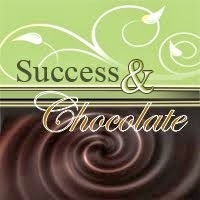 Click here for more information or "Taste of Marin" tickets. Your color selection and composition are quite nice. I really liked them. Also, I like your keen eyes on the objects and love of the nature. It was so good to see your works. Thanks again.